Has the idea of a personal “quiet time” made you feel guilty during these mommy years? Cramming time for prayer and Bible study into the nooks and crannies of mothering means: a) hiring a babysitter; b) locking the door and shouting something like, “LEAVE MOMMY ALONE. I AM TALKING TO JESUS!”; or c) waking up so early that you can only sit and stare at your Bible through tired and bleary eyes. But the Bible doesn’t say to be quiet. It says to be still. Quietness means pulling the brakes on your life with your children. Stillness means taking some time to stop and acknowledge your need for God amidst the chaos. It doesn’t have to be quiet at all. In fact, adding more of God through prayer and Bible study is something you can do with your kids. Action Step: Make it a game. Gather your flock together and practice being still. First, wiggle, jump, and dance. When you say “Still!” have everyone freeze. Then after a few seconds of stillness, offer a quick prayer that God would change your heart and your family through this challenge. Repeat. After another segment of stillness, read aloud the Proverb that corresponds to the current day of the month. Have one more round of movement followed by one more “freeze.” This time take turns offering a word of praise to God. There! You’ve just had time with God that included prayer, praise, and Bible study. It may not include being quiet at all, but you did take the time to still your hearts before God. That’s all it takes for Him to begin to change you. A Mom’s Prayer: God, please give me more moments to spend time with You. Use this challenge to teach me Your vision for motherhood. Prayer. Add it to the list of things I feel guilty about as a mom right below never wanting to do crafts with my kiddos and being too cutthroat during games of Candy Land with my four-year-old. I know that I am supposed to be praying for my kids. In fact, I am fond of saying that as a mom, prayer is my primary work. I mean that. I do. But sometimes I just don’t know what to pray. I take great comfort in knowing that Jesus’ disciples, the very folks who were closest to Him, were just as clueless about prayer. Even so, if our mothers’ hearts are going to be made over, prayer must be part of the pipeline of change. We need Jesus to show us how to pray for our children, how to pray for our marriages, and how to pray for our own fleshy hearts to be transformed to be more like Jesus. In order for that to happen, we need to relearn how to pray. 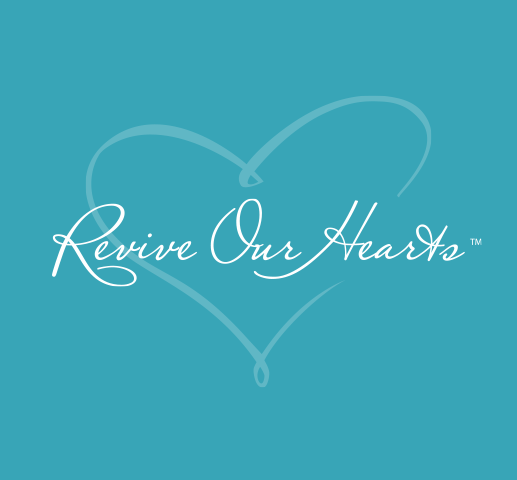 We’ll hover here for the next few days, as prayer is foundational for our heart makeover. Avoid the temptation to gloss over these days and assume, “I’ve heard this all before.” Think of a reeducation on prayer like the base coat on your nails or a great shampoo (with scalp massage, please) before the cut and style. This isn’t the glam stuff, but it’s necessary foundational work to pave the way for a radical before and after. Action Step: Make a different kind of family tree. Disclaimer: No art supplies or talent are required for this action step, but you crafty girls feel free to go crazy. Write down the names of the members of your immediate family including yourself. Under each name, write prayer needs for each person. This may take a minute. Give yourself enough time to consider how you’d like to see God move in each of your lives. What are your physical, spiritual, and relational needs? Write them down, and save that paper in a place where you can return to it soon. A Mom’s Prayer: Jesus, teach me how to pray as You do. Make me aware of the needs of my family so that I can entrust them to You. When my children were babies and they would cry for no reason, my husband would pick up their chubby bodies and say, “Let’s go survey the kingdom.” Our particular “kingdom” encompasses a three-bedroom ranch, big backyard, and occasional stray cat. No castle, but I’ve got enough laundry to make a moat, and I do occasionally feel like a maiden locked in the tower. We can get so focused on the needs of our little kingdoms that we miss the bigger picture. That’s why when Jesus gave His lesson on prayer, He encouraged a dramatic shift of focus. Go ahead, take the two simple prayer steps Jesus outlined. Step 1: Acknowledgement of God’s position. Jesus said, “Father, hallowed be your name.” We don’t throw that word hallowed around a lot, but it simply means “holy, revered, or sacred.” A simple, “God, You are holy” will suffice. Step 2: Get off the throne. Jesus encouraged us to seek the priorities of God’s kingdom when we pray. We’ve likely read His words before, but when it comes to praying for the needs of our family, how often do we implement them? It may feel foreign to pray for God’s kingdom needs before your own, but consider it a trade up. Your kingdom ends at the edge of your lot, but God’s kingdom is eternal and endless. Don’t worry, you don’t have to wrap your brain around that fully, but Jesus does teach us to give kingdom priorities top billing when we pray. Action Step: Survey your kingdom. A Mom’s Prayer: God, You are holy. Let Your kingdom come. Have you noticed that motherhood is all about figuring out the next steps? When our children are born, we look with anticipation for each milestone. When they are toddlers, we bite our nails (or count the days) until they head off to school. Then it’s waiting for the next grade, the driver’s license, graduation . . .
All of that focus on what’s coming next keeps us from paying close attention to what is happening today. Apparently, this wasn’t only a mom problem, as Jesus instructed His disciples to ask for daily bread “each day.” I assume the redundancy is there for a reason. In case you missed it, the redundancy is on purpose. There is nothing wrong with these prayers, I suppose, but Jesus encourages us to pray in the time frame where God is moving—right this moment. What do your children need today? Pray only about their immediate needs today. You can pray about tomorrow’s needs tomorrow, and the needs in the next decade when it gets here. For now, ask Jesus to work to satisfy your daily needs, well . . . daily. Action Step: Feed the birds. Grab a loaf of bread and your kids, and go find a flock of birds. Don’t have an agenda. Don’t rush. Don’t check email, Facebook, or Pinterest . . . and put the iPhone down! For as long as you are able, be present in the moment without worrying about the past or future. Make a mental note of how it feels to be in the moment, and strive to recapture that feeling as you pray. A Mom’s Prayer: Jesus, thank You that You are the same yesterday, today, and forever. I am thankful that I can count on You to meet my needs in the future just like You have met them in the past. Show me what the needs of my family are today, and help me trust You to meet my daily needs each day. Day 5: And Forgive Us Our Mom Sins . . .
A Mom’s Prayer: Jesus, I am a sinner, and I can’t stop sinning. Thank You that Your grace doesn’t run out. Please forgive me for the sins I’ve committed today,,and give me the wisdom to let go of expectations that cannot be met as I mother. Kids make mistakes. Lots of them. Sometimes those mistakes are pointed squarely in our direction as moms. We understand that missing the mark is part of the learning process, but when we are extra tired, extra stretched, or extra raw as we mother, all of that disobedience, anger, and loss of our personal property can sting. God gives us a radical example of forgiveness in action. He doesn’t hold our patterns of sin against us. He never says, “You always do that!” or “I’ve told you not to do that a million times!” Instead He throws our sin one way and chooses to walk in the opposite direction. We are loving our children well when we offer them the same undeserved, all-encompassing kind of grace. Author and fellow mom Rachel Jankovic writes, “If breaking the window has been forgiven, act like it. Forget it. Do not hold past incidents over your children, especially if you’ve told them you’ve forgiven them. Let it go all the way, every time, ‘as far as the east is from the west’” (Ps. 103:12). Action Step: Change your vocabulary. Members of a family need to apologize to each other often. In fact, we say the words “I’m sorry” so much that they can start to get watered down. Instead, when an offense is committed, have your children say, “Please forgive me.” Say the same words when you are the offender. Asking this way requires action by the offended (forgiveness) and takes a step toward reconciling after the wrong has been set right. A Mom’s Prayer: Father, thank You for offering forgiveness so freely and so completely. Show us how to be a family that values forgiveness and offers it well to each other. This feels like a no-brainer if you think about it. God is not going to lead us into temptation. He desires to guide us away from sin, not toward it. But these words serve as a reminder that temptation to sin is a very real threat. The things that tempt us should be on our radar screen, and we need to bring them to God when we talk to Him. We can do everything in our power to keep our kids on the straight and narrow, and still there will be times when they willingly choose to sin. ’Fraid that apple hasn’t fallen too far from the tree as we likewise cannot escape our sin nature. It is wise to pray for God to hedge us in from temptation, but it is also important that we do the hard work to keep ourselves far away from sin. Action Step: Find a pattern. Think back to the list of sins from day six. Where do you see patterns of sin as you mother? Are you an angry mom? A bitter mom? A mom who struggles with sins of the tongue? Are there sites that are tempting to you online but are not fitting for you as a Christian? What steps do you need to take to steer clear of temptation in these areas? Let me encourage you to take bold steps and to seek accountability. Yes, I know doing so can be painful, but so is the reality of our sin. Do what is necessary to steer yourself away from the temptation to sin this week. A Mom’s Prayer: Jesus, I thank You that You faced temptation and yet did not sin. Make me aware of areas where I have let my guard down in regard to sin, and show me how to avoid temptation in this area. Day 8: Speaking of Prayer . . .
Day 9: What’s My Motivation? If I was giving a book report on my book for moms, Beyond Bath Time, I would simmer the contents down to four words—motherhood is a ministry. A summary that brief probably wouldn’t earn me an A from any teacher, but it truly is a simple and radical message that has the power to revolutionize your attitude toward motherhood. If motherhood is about more than just raising good kids, we don’t have to get so flustered when our children struggle to obey. If the housework has meaning beyond clean floors and empty hampers, we can do it with joy over and over (and over!) again. If mothering well is kingdom work, then we can work toward kingdom gains instead of in the direction of our own expectations. Seeing motherhood as ministry also inoculates us against the feeling that we should be doing something “more” with our lives. Martin Luther wasn’t a mom, but he understood that ministry isn’t limited to what happens from behind a pulpit or even within the walls of a church. Action Step: Get the message. Grab a stack of sticky notes, and write, “Motherhood is a ministry” on several of them. Now stick them in places where your role as a mom feels mundane or meaningless. Perhaps the washing machine is a good place to start. It can be hard to see all of that laundry as anything more than a time eater. But God is able to use even the most mundane acts of service to bless, train, and inspire. Put one on your steering wheel if the carpool is sucking the life out of you. Put one on your baby’s changing table or on the stove. Wherever you tackle jobs that make you feel like you aren’t accomplishing much with your time, put a note that reminds you that motherhood is a ministry. A Mom’s Prayer: Father, thank You for using my life. Help me to see what I am doing in my home and for my children as a ministry to reach my children for Your kingdom. I present the tasks of motherhood as loaves and fishes to You. Please multiply them so that my kids will know that You are God. I find that motherhood is the most difficult when I look at it too closely. When I get too wrapped up in the daily tasks, I am easily overwhelmed, frustrated, and exhausted. But when I look at motherhood in panorama and force myself to see the big picture, I am much more able to cope. God gives us a REALLY big picture of His plan to bless our families in Exodus 20:5–6. It’s a fairly simple equation. A parent who does not love/serve God can expect Him to heap the pain of their sin onto their children, grandchildren, and great-grandchildren. That’s the bad news. The good news is that His blessings are bigger than His punishment. A parent that loves God and strives to keep His commandments can expect God to bless her children, grandchildren, great-grandchildren times one thousand generations! You don’t need a glass ball to see how your faithfulness will impact others. God has promised that if you love Him faithfully (not perfectly) and keep His commandments, He is going to bless your children, and their children, and their children, and their children . . . How’s that for motivation to stay the course! Relationships in flocks tend to be closest among related sheep: in mixed-breed flocks same-breed subgroups tend to form, and a ewe and her direct descendants often move as a unit within large flocks. Of course, at some point your children will need to make a profession of faith for themselves. Your faith cannot be passed through DNA, but God is willing and able to build a legacy of faith through you for future generations. You and your children, and your children’s children, can stand as a unit of faithfulness within the larger “herd” of your community. Try not to dwell on the little stuff that narrows your focus today. Instead, seek to love God and to keep His commandments as you mother. He has promised that the return is blessings on your herd for a thousand generations. Action Step: Walk down memory lane. Pull out the family photo album. Look back at your parents and your grandparents. Were they faithful to God? Have you seen that pay dividends in your life? Were they unfaithful to God? How has that impacted you and your children? A Mom’s Prayer: I love You, Lord. Help me keep Your commandments today. Thank You for blessing me, my children, and my children’s children. How exactly is motherhood ministry? What is it about our role that God can use? There are lots and lots of answers to that question, but the simplest is that God uses us to lead and train our children to be like Him. Your children are also an unreached people group. They don’t come into the world with a knowledge and heart for God. It’s your job to teach them, and it’s a big job. It’s big in the sense that it demands much of you, but is also big in the sense that it matters a great deal . . .
Keep widening your lens and consider how many people will hear the message of Christ if you teach your children to live the Great Commission. How many other moms would be challenged to live Christ-centered parenting if they saw you doing it well and with joy? How many husbands and children are connected to those moms? I hope you get the sense that as a mission-focused mom, your job is not small or insignificant. As a co-laborer in the trenches of motherhood, I want to nudge you to embrace the radical notion that you’ve been called to something gigantic. But the gigantic task of discipling your children won’t happen in leaps and bounds. It won’t be like a camp experience where they are downloaded with a huge dose of truth and zeal. Nope, mom discipleship requires a slow and steady approach. Here’s a little tidbit to help you with perspective. Parents have between 3,000–4,000 hours a year to disciple their child. Church staff members have less than 100 hours. In terms of points of contact, you have a huge leg up on anyone else who will influence your child. That means every second you spend teaching them about Jesus, praying for them, and modeling the fruits of the Spirit builds up over time. Action Step: Take up family devotions. If you are not already in the habit of doing so, start family devotions. This can be as elaborate is choosing a devotional plan or book and using it every night or as simple as reading the same verse aloud to your kids once a day and praying together as a family. For a great book on incorporating the Bible into your family life in a way that is manageable and effective, I highly recommend Together: Growing Appetites for God’s Word by my friend Carrie Ward. A Mom’s Prayer: Lord, thank You for giving me the huge task of teaching my children to be like You. Help me to be a wise steward of the points of contact I have with them each day, and use them to show them more about You. Pardon the continued livestock references, but God seems to have something to teach us from sheep, barns, and oxen. This little gem from Proverbs 14:4 has so much to show us about the beauty of a messy life. The writer contrasts two images. The first is a barn without an ox. True, it’s a clean barn. I can see how a clean barn might hold some appeal, especially considering the kind of yuck it would contain if an ox actually lived there (pee-yew!) But barns aren’t meant to be clean. They are meant to be used. The second image includes the ox. What is the result of having an ox? According to this passage, it is abundant crops. Productivity. Usefulness. Fruitfulness! But that ox must go somewhere when he’s not in the field, and then what does the farmer get? A messy barn! Two choices—small crops and a clean barn or abundant crops in exchange for the muck that comes with productivity. Having children makes our lives messy. It makes our schedules chaotic. It makes our floors dirty. It makes our homes unkempt. But in exchange for all of that disorder, we get them. When we willingly take the trade-off—the messy life of motherhood instead of the clean barn that comes without children—we trade up for the promise of productivity in God’s kingdom. Action Step: Let it get messy. Warning: You Type A personalities are going to wig out on this one. Let your house get messy today. Messier than usual kind of messy. Don’t pick up. Don’t wipe up. Don’t sweep up. I’m not trying to drive you crazy, but I do want it to sink in that messiness is not nearly as critical as productivity. In the afternoon or evening, make cleaning up a family activity. Crank some fun music, promise a small reward to the family member that is the most productive, and turn that mess into order. This way a clean house is a result of productively mothering your kids. They learn the value of working together and keeping things in order, and you are reminded that while productivity means a messy barn, a clean stall sure is nice while it lasts. A Mom’s Prayer: Lord, thank You for taking my messy life and using it. Help me to value usefulness over a clean house and productivity over having everything in order. This passage from Psalm 127 is a deep, deep well. As mothers, we are wise to dip our buckets down into it and draw up truth often. The key message is that children are a blessing. We will unpack that little gem tomorrow. But today, let’s focus on the arrow analogy and how it applies to continuing to see our family as a mission field. This passage describes children as arrows. But not arrows left sitting in an unused quiver or arrows gleaming but unused in a display case. No. This passage says our children are like arrows in the hand of a warrior. They are to be taken into battle and used against our enemy. The purpose of raising kids who follow Christ isn’t so that you can line them up as evidence of good works on your mantle. The purpose is to raise children who will eventually be dangerous to the enemy by championing the cause of Christ. That “sharpening” requires that you seek to know how God has uniquely equipped and gifted your children and then partnering with God to grow them toward kingdom work. Your job is more important than raising kids who use the potty, stand well in line, and make good grades in school. You are called to a much bigger task of equipping your children to be used by God to accomplish His purposes. Action Step: Ask for insight. Begin praying that God will show you the spiritual gifts He has given your children and the ways He plans to impassion them for ministry, and look for ways to encourage that in them. A Mom’s Prayer: Father, thank You for giving me the task of training my children to be used by You. Please show me the unique gifts You have given each one of them for Your service. Help me to fuel their passion for You and for service in Your kingdom. Before baby I was a pretty cool cucumber, but motherhood has a strange way of bringing my claws out. Sometimes I want to yell. Sometimes I want to stomp out of the room. Sometimes I want to get all up in their faces. But then I remember that they are two and four. I am the adult, and what they see, they will eventually do. No matter how my children behave, the Bible doesn’t allow me to sin in my frustration, exhaustion, or anger. Motherhood is not an excuse to lack self-control in any area. This is a lesson perhaps best learned in pregnancy. Consume a few extra calories while pregnant, and you will get a healthy baby and manageable post-baby body. Use pregnancy as an excuse to send your man out for midnight ice cream runs and eat nachos for breakfast and you may still get a healthy baby, but you’ll also still be on the treadmill when he hits kindergarten. Motherhood has a way of making us raw. It hooks those areas where we might lack in self-control or gravitate toward sin. Once hooked, we must depend on God to reel us in and redirect us toward righteous behavior. But the fruit of the Spirit is love, joy, peace, patience, kindness, goodness, faithfulness, gentleness, self-control; against such things there is no law (Gal. 5:22–23 ESV). Self-control (along with many other good qualities we need as moms) is evidence of God’s work in us. We don’t have to drum it up or make it happen; it is fruit that God will grow in our lives if we ask. Determine one area of your mothering where you lack self-control. Perhaps it is anger, like me. Maybe it is stress eating or failure to follow through on discipline. Ask God to produce the fruit of self-control in your life in this area. A Mom’s Prayer: Father, thank You for producing fruit in my life. Teach me how to have self-control as I mother. Show me how my lack of self-control damages the walls of protection and security for my family. This happens at your house too, right? You calmly give your children a simple command such as, “Please go to the car.” They do not go. They head off to their room to get something they forgot. They dilly-dally. They dawdle. You ask again, “Please go to the car.” Again your children disobey. They may be moving in the direction of the car, but they are taking their sweet time getting there, and they are getting delayed by plenty of distractions along the way. It is a natural progression of events. I know you would never get to the yelling phase if they would hurry up and get to the compliance phase, and yet . . . yelling at our kids never really produces the kind of long-term results we should shoot for as we mother. I do understand the unique way your children can push your buttons (because mine do the same thing! ), but yelling at them in your anger will never produce good fruit in your life or in theirs. Action Step: Make a penalty jar. Make a new rule that there will be no yelling in anger at your house. Any time a member of the family yells or screams in anger, the rest of the family has permission to lovingly call them on it. The offender must then place a coin in the jar. A Mom’s Prayer: Jesus, thank You for your example of retaining self-control when angered. Help me to think of the fruit I produce when I sin in my anger. Give me greater self-control and wisdom to avoid yelling at my children when I am angry or frustrated. I’d been having a really bad day. You know, the kind of day where everything that possibly can go wrong does. My toddler had thrown one too many fits, my baby needed a little too much of my attention, lunch was burning on the stove, and my house looked like a toy bomb had gone off . . . After a while little things seemed huge, and I started feeling really stressed and frustrated. My blood started to boil. I wanted to blow my top. I wanted to yell at my family. I wanted to curl up on the couch and feel sorry for myself. I wanted to wallow in the notion that God didn’t give a hoot. But I didn’t. I threw flour instead. When we are feeling stressed and stretched to the max, there are lots of destructive ways we can respond. We can lash out at our husbands and children. We can medicate ourselves with food or shopping or the Internet. We can look to our human relationships to soothe us. We can turn to substances like drugs or alcohol, looking for a high to counteract our lows. We can vent. We can bail. We can sink into despair. Or we can cling to God’s truth and find a way to keep on going. When my day got uber-stressful, I felt myself starting to believe the lies of the enemy. My problems seemed insurmountable. My stress felt unmanageable. My family felt like the enemy. Instead of lashing out or losing control, I found a way to get a grip. I grabbed the huge bucket of flour I was using to cook with, hauled it outside, and called for my husband and son. We took turns lobbing flour at each other, and before long we were laughing so hard, the stress we were facing just melted away. When it was all said and done (it took us an hour to sweep up all the flour), I was reminded that living out God’s truth is a choice. Stress is part of life. Bad days will come. Defeat and despair will always knock at the doors of our hearts. We can react in ways that hurt ourselves or our families, or we can find a way to keep going and cling to the hope God offers us in His Word. You don’t have to throw flour to get through your own stress. You can take a walk, call up a friend, go pick flowers, knit, draw, sing, dance . . . the possibilities are endless. The point is to do something constructive that allows you to take a breath and get some fresh perspective. What are some constructive ways you like to de-stress? Action Step: Create an anti-stress jar. On slips of paper, write down alternatives to unhealthy ways to cope with stress. Include several passages of Scripture that comfort and calm you, one-sentence prayers to pray when the stress level rises, and simple activities that can take your mind off of your troubles. Examples might include blowing bubbles, going for a walk, cranking up some worship music, or whipping up your favorite recipe. Then throw some in there that you are unlikely to do under normal circumstances like rolling down a hill, having a pool party in the bathtub, or singing karaoke in the living room. The next time your pressure valve nears the max due to stress, pull out a slip and choose to respond with grace, kindness, and serenity. A Mom’s Prayer: Jesus, You warned me that my days would have troubles, and yet it always surprises me when things don’t go my way. Help me to choose to press in to the peace that You promise me instead of acting in ways that do not glorify You. As moms we have a tendency to feel that doing anything for ourselves is selfish. This warped mentality often results in us becoming run down, stretched thin, and unable to cope with the demands of family life. When we refuse to take time to refuel, refuse to make time to foster life-giving relationships, and perhaps most perilously, refuse to protect time to connect with Jesus, we dry up like a branch that is severed from the nutrients of the vine. In day one of this makeover, I reminded you that time with the Lord does not have to be quiet. Nurturing a relationship with Jesus doesn’t have to mean extended periods of silence before the sun comes up. But God does call us to seek Him in prayer, to have an appetite for His Word and to read it often, to worship Him, to serve Him, and to work to be more like Him. Those things won’t happen by accident and they require intention on our part, especially as the demands of motherhood increase. These verses from John 15:4–5 are a reminder of our ultimate source of strength. Jesus is the Vine; we are just branches. Jesus is able to bear fruit in our lives and in the lives of our children, but we are just conduit for the change. Apart from Him we can do . . . nothing. In order to be truly made over, we need a radical shift in priorities. Too often we work ourselves silly trying to keep the house clean, the kids in line, and our family schedule tamed. We treat eternal matters as if they are optional. Our undercurrent attitude says we will pray and study the Word only if we find the time. God’s Word urges us to note that unless we are clinging to the Vine, we can do nothing . . . including those things on our mothering plate that seem so urgent. Action Step: Plant a reminder. Place a small potted plant somewhere you will see it often, such as your kitchen window or bathroom. On the pot or on a plant marker, write out John 15:4–5. Read it often as a reminder that nurturing your relationship with Jesus is to be your first priority. Without that step you are guaranteed to wither. A Mom’s Prayer: Jesus, thank You for the abundance that comes from clinging to You. Without You I cannot handle the responsibilities of motherhood, but when I cling to You, I can be fruitful. Thank You for this promise. Teach me to cling. In Matthew 15:29, we find Jesus trying to rest on a mountainside. He barely sat down when a crowd of people came to Him looking to be healed. How did He respond? He healed them. When Jesus received word that His cousin, John the Baptist, had been killed, He tried to grieve alone. But crowds of people followed Him and begged for His attention. Scripture tells us that instead of hiding in His grief, He had compassion and healed the sick in the crowd (Matt. 14:13–14). On the night before Jesus was betrayed, He didn’t hide out. He didn’t run away. He spent the evening with His disciples. He even took the time to serve them by washing the mud from their feet (John 13:1–17). If we look closely, we find an interesting pattern. We know that Jesus spent His time on earth serving others. But have you ever considered how often He ministered when it was inconvenient? He served others when He was tired. He served others when He’d have rather been alone. He served others when He was sad. He served others when He’d been serving non-stop for days and days. He served others when things went terribly wrong in His own life. He even served others when He knew His own death was right around the corner. I am deeply challenged by this truth. You see, I don’t mind serving others when it’s convenient for me. I like to help out when it works into my schedule or fits into my agenda for the day. But there are lots of times when serving others is inconvenient. This seems especially true with my family. I’m tired. I’m stressed. I’ve got more important things to do than to meet the needs of those around me. Under those circumstances, I feel justified in giving priority to my own needs and temporarily ignoring the needs of others. But this isn’t how Jesus lived. It isn’t how Jesus served. And it isn’t what He wants from you and me. The reality is, serving others requires sacrifice. If we only do it when it’s convenient, we’re missing the point. What's keeping you from serving like Jesus? Will you let Him inconvenience you today? Action Step: Go above and beyond. Go above and beyond in service to your family today. Make their favorite meals, play their favorite games, do something extra special for each family member. Obviously, this isn’t a pace that you can keep every day, but for just today raise the bar in service at home. A Mom’s Prayer: Jesus, thank You for Your example of service when it is inconvenient. Help me to value people over comfort. Give me opportunities to serve my family in Your name today. there is no Rock like our God. '” —1 Samuel 2:1–2 NIV"
I recently found myself surrounded by tiny clothes, bawling my eyes out. I was sorting through bags of my oldest son’s clothes looking for hand-me-downs that would fit his younger brother. As I sorted through mountains of little boy clothes, I was suddenly struck by how quickly the time was passing. All that nostalgia got me thinking about a gal who knew a thing or two about little clothes. there is no Rock like our God” (1 Sam. 2:1–2 NIV). Even though her mothering circumstances were difficult, Hannah chose to rejoice in her role as a mother. From then on, she only saw Samuel once a year when she would visit the temple to make an annual sacrifice. Like any mother would, she always made sure he had a warm coat to wear. I’m sure the fact that it is described as a “little robe” isn’t an accident. All mothers know the significance of tiny clothes. They are precious reminders of how small our babies once were. They smell like new life and remind us of rocking chairs, first smiles, and 3:00 a.m. feedings. Tiny clothes also remind us that we all have a choice as we mother. We can be thankful for the laundry, because it represents little lives entrusted to us. Or we can complain about dirty clothes and miss the point completely. Will you thank God for your children this week? Action Step: Make a thankful basket. Using permanent marker, write out 1 Samuel 2:1–2 on the bottom of your laundry baskets (facing up into the basket). As you do laundry, pray this passage as a prayer of thanksgiving to God. Let laundry become a reminder that even under difficult circumstances, your children and their tiny clothes are a blessing. Hannah’s story has much to teach us as we mother. In addition to demonstrating gratitude even in difficult circumstances by sacrificing her son to live in the temple, Hannah learned early on a lesson that God is constantly teaching me. My children are not my own. I only get to hold them for a fleeting moment in the hopes that they’ll spend a lifetime serving Him. He is the true Life-giver, and the only One capable of shaping them into His image. The theme of child sacrifice is written throughout the Bible. Abraham was commanded to sacrifice his long-awaited son, just like Hannah was. But for Abraham the stakes were much higher. He wasn’t tasked with simply allowing his son to live somewhere else, but with actually taking his life on the altar. As parents we cannot fathom even entertaining the idea of such a act, but Abraham could because a) his faith was big enough to be sure that God would keep His promises, and b) he knew that Isaac was never his to hold on to. Abraham was willing to obey God in the sacrifice of his beloved son because he expected God to raise Isaac from the dead. This may not seem like a big deal to us because we know of God’s power to raise from the dead from the stories of Lazarus and Jesus, but Abraham didn't have these stories. He just knew that God kept His promises, and therefore, if he was to sacrifice his promised son, then God must raise him back to life. God isn’t asking you to physically sacrifice your children today, but He does ask you to surrender them and acknowledge that ultimately they are His children and that you only have them on loan. Action Step: Read the account of the sacrifice of Isaac from Genesis 22. A Mom’s Prayer: Father, thank You for entrusting me with these children for a little while. I thank You that ultimately they are Your children, and I pray that they will be with You for all eternity. Help me to hold them with open hands and to obey You quickly when You ask me to lay down control in their lives as I mother. The story of Isaac’s near sacrifice from Genesis 22 has a nice, happy ending for everyone except Isaac’s mom, Sarah. Can you imagine the emotions she felt when she learned what almost happened to her treasured son on top of Mount Moriah? (At the hand of her husband, no less!) I am sure her emotions swung from terror, to anger, to frustration, to relief. I doubt that Abraham filled Sarah in on all the details of their expedition before he left with Isaac. I could be wrong, but I bet he said something like, “Isaac and I are going camping.” Then off they went . . . three days up the mountain and likely three days down, and Sarah was left at the bottom to wait and worry. But Abraham was being a good parent the whole time. Most importantly, Abraham was obeying God while he parented. We don’t have any indication from Scripture that God revealed His commandment to sacrifice Isaac to Sarah, only to Abraham. So while Abraham trusted God, Sarah had to make the choice to trust her husband. There is an application in this story that may be a hard takeaway for some of us as we mother. I’ll admit that is for me. Are you ready for it? Drum roll, please . . .
Part of holding your children loosely is letting go of the reins and letting your husband parent. Yes, I do know how he dresses them when he is in charge. Yep, I am well aware that a dad’s prerogative is to parent a little more “loosely” than most mothers do. But the fact remains that a father is just as important in the parenting equation as a mother. Refusing to give up control to allow your husband to make decisions for your kiddos, especially when they go against your own, doesn’t help him confidently parent, and it doesn’t help your kids learn to respect his authority in their lives. This principle applies to other people in your child’s world. For example, grandparents get the unique role of being “grace givers.” They don’t have to enforce the “law” as strictly as you do. But having someone love them unconditionally without regard for chore charts and grade cards is a gift to your child. So let your parents and grandparents do things their way with your children (as long as your child is safe, of course), and let them eat cake for breakfast if that is what has been negotiated. No one knows your child like you do, but you are not the only one with the power to make a difference in his/her life. Sometimes it is your job to obey God as you parent and sometimes it is your job to trust the ones whom God has brought into your child’s life. Action Step: Show some love. Grab some “just because cards” and write notes of appreciation to your husband as well as your child’s grandparents, if applicable. You don’t have to concede that you would do things their way, but you can thank them for the unique ways they are influencing your child for good. A Mom’s Prayer: Lord, thank You for all of the people who love my child. Help me to see the unique ways they help him/her grow and mature. Help me to let go of my need to control and trust others as they trust You. This passage is not saying that we can’t braid our hair or wear cute clothes (preferably purchased at Target on clearance). And it definitely is not saying that we cannot wear chunky jewelry . . . cue “Hallelujah Chorus”! But it is a strong reminder that nothing we can ever put on and nothing we can ever take off is the source of true, lasting beauty. This is a good reminder for moms because being a mom changes our beauty, sometimes in ways that are difficult to accept. I have plenty of stretch marks and scars to prove that those beautiful eight-pound boys were once in my tummy. My weight has crept up, up, up since the stick turned pink. And I like to describe my personal, post-baby style as “bag lady chic.” Sure, my boys are out of diapers, but I am still trying to find a pair of pants that fit that doesn’t have an elastic waistband. Our post-baby bodies and beauty can be discouraging, but our bodies are ultimately tools to be used by God, not artifacts to be preserved in their original form. Retaining our eighteen-year-old bodies should never have been the goal; rather let us seek to use our bodies to the full in service to God and in love for our children. So what if we get a few dings and marks along the way. Just as productivity means a messy barn/house (day 13), bearing and nurturing children means a shift in our beauty. But it doesn’t mean we have to throw the beauty out with the bathwater. God’s Word promises a type of beauty that never fades and that is of great value in God’s sight, but it’s the kind of beauty that can only radiate out from the inside. It cannot permeate your heart from the outside in. Even if your current season in life prevents you from cultivating the kind of outer beauty you’d like to have, you can be beautiful. Work toward a quiet and gentle Spirit, and ask God to continue to give you a beautiful heart. You don’t have to completely ignore your outer beauty, but work toward a shift in thinking to see surrendering affection for that kind of beauty to God as part of your willingness to minister to others through motherhood. A Mom’s Prayer: Father, thank You for making me in your image. Thank You that I have the hope of a version of beauty that does not hinge on how long it’s been since I’ve had my roots done. Help me to value inner beauty over external beauty and to let the affirmations of my beauty and worth from Your Word be enough for me. Let’s mine one more little nugget from the story of Hannah. Janet Parshall writes, “Hannah’s story teaches us what it means to be a true woman of God. She let go of her own plans. She knew that God was in charge, not her. She believed Him enough to say ‘yes’ even when desperation had caused her to go out of her comfort zone and ask for the unthinkable. Motherhood is the spark that ignited a refining fire under Hannah. Her desire to be a mom and later her unique role as a mom ultimately led her to total dependence on the Lord. I have a good friend who says that anything that causes us to depend on God is a blessing. This is another reason why children are a gift. They push us toward God for grace, peace, wisdom, and patience. And they work like little fires, burning out impurities in our own lives as we seek to raise godly children in dark times. Motherhood isn’t for wimps. It isn’t easy to live out God’s blueprint for our lives or to let go of what we want for ourselves or our families. It’s really tough to lay those people and things we most love on the anvil of God to allow Him to mold and shape us. But as Hannah’s story illustrates, even when the sacrifice seems unbearable, we can trust God to work things out for our good and His glory. Action Step: That’s why I want to be a Hannah. I want to give God permission to use my children as a refiner’s fire to burn out those parts of me that aren’t like Jesus. Will you? A Mom’s Prayer: Lord, use my children and my role as a mom to make me more like You. Motherhood seems to be made up of a million small things. We hold our tiny babies. We fold their little clothes. We lose their tiny shoes in our minivans and their teensy, weensy socks in our dryers. We celebrate baby steps and small victories. And there are days when we can’t seem to think past the smallest increments of time—five more minutes of sleep, thirty-second showers, two-minute time-outs. All of those small things have a tendency to narrow our focus, but in reality the big picture is much, well, bigger. The theme of child sacrifice continues as we look at the story of Jesus’ death on the cross. The fact that God the Father allowed Jesus the Son to die on the cross is a big message. In fact, there’s nothing bigger than the gospel. The message that Jesus Christ left heaven, came to earth, and died on the cross to rescue us from our sin and to make a way for us to live with Him for eternity is huge. It’s significant. It’s complex. It’s weighty. The good news of the gospel is very, very big! Does the big message of the gospel have anything to teach us about the seemingly small tasks of mothering? Can we learn anything from the big story of Jesus and apply it to the little stories we are living out with our children? The New Testament opens with these words, “The book of genealogy of Jesus Christ, the son of David, the son of Abraham” (Matt.1:1). From there the gospel story unfolds with a long list of birth announcements. For seventeen verses, the writer traces Jesus’ family through forty-two generations. The list includes mothers like Rahab, Ruth, and Bathsheba. Then suddenly we see her. She’s the new mom at the table. It’s true; Jesus had a spectacular birth. His birth announcements came in the form of a choir of glowing angels (Luke 2:8–21) and a moving star that lured wise men to travel from faraway lands (Matt. 2:1–12). But Mary’s role in those historic events was pretty ordinary. Since it is the ordinary nature of motherhood that often causes us to question its significance, it is worth considering whether the ordinary or the extraordinary had a greater impact on Jesus’ story. The shepherds saw Jesus once and then went back to herding sheep. The wise men left their presents at the baby shower and then returned to their own land. But Mary . . . Mary is woven into every crevice of Jesus’ story. From His conception until His death and resurrection, Jesus’ mother is a constant player in God’s plan to redeem us through the life and death of His Son. Momma, God has His eye on you to carry out His extraordinary purposes through your seemingly ordinary life as a mom. You may sometimes feel like you’re living life on a small scale, but don’t lose sight of the fact that you, like Mary, are uniquely positioned and called to be a constant player in both your child’s life and God’s kingdom. What small tasks of motherhood are wearing you out today? What would you ask Mary about motherhood if given the chance? What big vision has God given you for your family in the midst of all the small stuff? Do you mark your children’s height on the wall or in a doorframe? As they’ve grown in height, God has also been using your children to stretch you to be more like Him and grown them in their love and knowledge of Him. Go back to the wall where you’ve marked your children’s heights, or start a new one, and add marks to show how God has been at work in your family. Have your children accepted Him as Savior? Mark it down. Has He cultivated greater fruit of the Spirit in you? Mark it. Has He expanded your vision for family ministry? Give it a hashtag. A Mom’s Prayer: Jesus, help me to always be mindful of the good news of Your sacrifice on the cross. When I get too focused on the little things, remind me of the way You use small stuff to accomplish big purposes. Day 27: Speaking of Small Stuff . . .
My two-and-a-half-year-old loved his binky. He had moved into a big-boy bed, he was potty trained, but that little plastic remnant of his babyhood still remained. We begged, we bribed, we threatened—but he just wouldn’t give it up. I can’t say if I prayed specifically about the binky, but I do try to cover all aspects of parenting in prayer. When I’m anxious, I pray. When I’m exhausted, I pray. When I feel uneasy about a transition or next step, I pray. I take it all to Jesus because I can’t bear the thought of parenting without Him, and because I want Him to be the very center of my role as a mom. It wasn’t the physical part of me that urged this step—that part of me was so exhausted I couldn’t bear the potential of losing more sleep as a result of removing the binky. It wasn’t my rational side, either—that part would have taken it away a long time ago. It couldn’t possibly have been my emotional side—I dreaded the tears that were sure to come from the little boy I love so much. I know it seems strange, but I think the Holy Spirit was nudging me to take away the binky at that very moment. So I did—and I have no other word to describe the result than miraculous. Sure, my little man shed a few tears, but it was more like he was mourning the loss of a good friend than rebelling against my decision. He took his nap without a hitch and only asked for the binky a time or two. He went to bed tear-free. No wailing. No screaming. No fit-throwing. You mommas know how huge this is! The whole thing has me wondering, Did God mean what He said when He told me I could trust Him with everything? Philippians 4:6 says, “Do not be anxious about anything, but in everything by prayer and supplication with thanksgiving let your requests be made known to God” (ESV emphasis added). Everything? Really? I guess a part of me always assumed this verse meant “everything” as in everything spiritual, or everything I wouldn’t be too embarrassed to mention in my Sunday school class. But everything, everything? I guess I’ve never really trusted that God cares about the insignificant worries of my life, like when to take away the binky. But the lack of a battle over a much-loved binky has me wanting to take God at His Word. It’s got me thinking that He really does care about every corner of my life and that I can truly trust Him with every detail. Certainly that doesn’t mean that all battles will be so easily won, but it does mean that God is with us through every parenting trial no matter how huge or seemingly insignificant. Action Step: Remember the little steps toward faith. What about you? Is there evidence that God cares about the “small stuff” in your life? If you are a mom, can you think of a time when God helped you parent in an area that was making you feel anxious or unsteady? Write it down in the margins of your Bible next to Philippians 4:6 as a reminder to trust God with the “binkies” as you parent. A Mom’s Prayer: Lord, thank You for Your promise that I can cast my cares on You as an alternative to anxiety. Help me to trust You more and more with the little stuff in my family that makes me feel worried, upset, or stressed. Joy? Really? We are talking about a pray-your-heart-out, cry-your-eyes-out, worry-yourself-to-death season of mothering, and she counted it as joy. This seems impossible when we are on the front end of a trial. It feels painful, uncomfortable, scary. . . . And yet the Bible does command us to count our trials as joy. Why? Because ultimately trials are what lead to perfect and complete faith that allow us to cling to the promises of God fully and without doubt. Your time of trial as a mom is just around the corner. Or maybe you are in it right now. Maybe, like my friend, your child has chosen a path of sin. Maybe they’ve received a diagnosis that terrifies you. Maybe they are cutting molars . . . I know what a trial this can be! When the trials come, you always have the same choice. You can run from the trial, rush your way through it, panic and work yourself into a tizzy of fear and frustration. Or . . . you can count it all joy, knowing that God is able to use it to strengthen your faith and your child’s faith. As you face trials with your child today, whether they are big challenges or minor bumps in the road, respond by saying, “I choose joy.” Joy is a choice you can make no matter what life (or your child) throws at you, because God has done great things for you and He has promised to use your trial to make you complete. A Mom’s Prayer: Jesus, no matter what life throws at me today, help me to count it all joy. Being a mom changes our friendships. We tend to gravitate toward women who are in the same stage of motherhood and whose children get along well with ours. But these shallow parameters can lead us to spend the bulk of our time with moms who are toxic. They may know how to plan a playdate, but if they are grumblers, complainers, or moms who parent with tactics that aren’t in alignment with the fruit of the Spirit, they aren’t doing you any good. You see . . . grumbling is a serious problem. We tend to see it as a natural part of life with kids. When women get together, they tend to swap stories about who got the least amount of sleep, what stressed them out the day before, and what their child is doing that is wearing them sick. I understand that we feel the need to vent, but ultimately it is not helpful. We must not . . . grumble, as some of them did and were destroyed by the Destroyer (1 Cor. 10:9–10 ESV). Yep. You read that right. Paul lists grumbling on par with idolatry and sexual immorality. What do these three sins have in common? They are all divisive. They put a wedge between us and others and always between us and God. Which is why you simply cannot afford to spend time with moms who grumble. Give them a wave at preschool. Send them a Christmas card, but do not spend your time with them. They are toxic. Their habit of grumbling and complaining about motherhood will rub off on you. Motherhood is too tough, and your words are too important to risk contamination. Reach out to a new friend whom you have seen speak lovingly about her children. Invite her and her children over to your house to play and have lunch. Make a habit of proactively spending time with mothers who do not grumble. A Mom’s Prayer: Lord, forgive me when I grumble. Teach me to talk about motherhood in a way that honors You. It’s time. Your makeover is finished. All that is left to do is to reveal the new you. It is my fervent prayer that God has used this thirty-day challenge to do a radical work in your heart and that the difference between your “before” and your “after” is dramatic. That might mean that you have embraced your role with renewed excitement and commitment to view motherhood as a mission field. Maybe God has challenged you on some bad habits or attitudes and is reshaping you to be more like Him as you parent. Perhaps you’ve developed the habit of reading your Bible daily. Hooray! God has promised that His Word will never return void; it will always bear fruit in your life! He has also promised that He will continue to work with you as you learn to parent His way. Philippians 1:6 promises that He will continue to build on the good work He started in your heart until it is complete. You can be sure that He will continue to shape you into a mother after His own heart. In that way, your mom makeover isn’t ending; it is just beginning! The most important next step is to continue to seek God’s heart for motherhood. If you haven’t already done so, grab a copy of my book Beyond Bath Time. It’s chock full of God’s Word, and I promise it will shore you up to mother with kingdom priorities in mind. May I also suggest a group makeover? Grab a group of mom friends, and make a plan to pray and read God’s Word together. You can use this makeover as your guide, launch a book club together, or simply make a pact to meet regularly to pray together. You can find some great resources for praying with other moms at MomsInTouch.org. Most importantly, keep clinging to the Vine. Make nurturing your relationship with Christ your first priority. Action Step: Make a plan. Specifically, what steps will you take to continue to grow tomorrow? Will you start a new Bible study? Launch a prayer group? Write the verses from this makeover on note cards to memorize them? Don’t put off developing a game plan. Figure out ways that you can continue to saturate motherhood in God’s truth. Then hop on our blog at BeyondBathTime.com, and leave us a comment to tell us about it. A Mom’s Prayer: Jesus, thank You for working in my heart this month. I want to mother according to Your truth. Help me to continue to grow in You and to treat motherhood as a sacred role.